Plot: Victorian Toronto, as it turns out, was is a test ground for the newly invented field of forensics and psychological profiling. 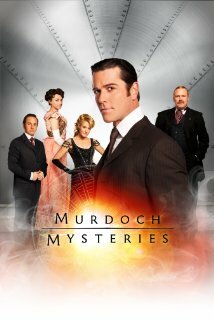 Detective Murdoch, cool and methodical, lets no crime go unpunished. Pros: Neat, concise stories, with strong leads and nice character development throughout the series. Rigorous process of logical elimination and refinement of the clues is sometimes pleasantly humbled by a touch of the mysterious and esoteric. Cons: Murdoch can be irritatingly stiff at first, before he grows on you. This Sherlock has a learning curve.